Why do we fall for it every year, eh? The ludicrous overblown Sky billing. The new away kits (ours is, frankly, is a crime not only against fashion but possibly people with a reaction to bright light and strobe effects). The proclamation from the captain / tub-thumper that we’ll “be in the hunt for it this season, for sure”. Yes, I’m looking at you, Messrs Gerrard and Carragher.Chelsea fans have enjoyed some pretty stultifying days out at the start of the season, José’s first year with us brought a one-nil victory against Suurralexferguson that was notable for a shin-in off Eidur Gudjohnsen, and not much else. So who’da thunk a 5-goal thriller against plucky old Birmingham this time round? Don’t be fooled. José is toying with you. If you see anything like the comedy that characterised much of this Sunday’s defending when we make the trip to Anfield, then I’m a wantaway Dutchman with an outspoken agent for a father and a balance problem. In all honesty, Mourinho must have choked on his red wine when he thought back to the ease with which Olivier Kapo breezed past Glen Johnson to equalise at 2-2. Yes, Glen has returned, bringing with him everything that he’s learned at the Harry Redknapp Defensive Finishing School for Boys. Perhaps the syllabus needs looking at. Having said that, I enjoyed this game. In fact, I enjoyed a lot of the games last season when we were missing the captain and the goalkeeper. It reminded me a little of Chelsea under Vialli… there was no lead against humdrum opposition that we couldn’t throw away with half an hour of organisational suicide. 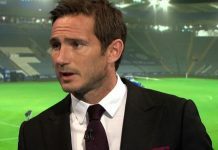 I’m not accusing Birmingham of mediocrity here – there were moments of effervescent attacking play, with Kapo at the heart of much of it – but I’ll now always have a place in my heart for 2005 Mourinho Chelsea: the Chelsea that walked onto the pitch and performed the footballing equivalent of grabbing the opposition by the throat, thumping them several times against the nearest wall, then standing ten yards away from the mewling mess on the floor and donning a Kevlar three-piece. Untouchable. Alright, so everyone else was bored, but I rather liked it. Now, someone seems to have come in and done this iniquitous taste job on the squad. Importing a winger with skill, effectiveness AND an eye to play in a team-mate now and then? After Robben, I didn’t think that was the Chelsea way, but Malouda seems to be going out of his way not just to jink into the area, but then to try and find the best way to score a goal. Even if it means passing. And with Essien finding goalscoring form, the things that I hold to be self-evident… well, they’re a-changing. What next? José in a tracksuit?